Who hasn’t dreamt of owning their own piece of paradise on earth? Christina Schallock came to Mallorca as the manager of Pollensa Golf Club. From her office window she had a stunning view of rolling hills and immediately fell in love with Mallorca’s beautiful North. She purchased some land and planted the first vines here in 2001 which marked the birth of the XALOC vineyard. XALOC, the name of the south east wind on Mallorca – a mix of a warm breeze and salty air – was the inspiration for the vineyard’s name. Only grapes from the vineyard are used which are harvested by hand and processed directly in the bodega and this ensures the high quality. State-of-the-art technology enables natural fermentation in stainless steel tanks after which each red wine matures for at least two years in new, high-quality French oak barrels. 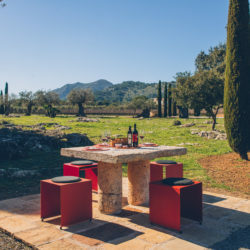 Amongst both connoisseurs and wine lovers, XALOC wines have established themselves as some of the best on Mallorca and have been awarded gold and grand gold internationally. To understand Christina Schallock’s philosophy, “Quality and not quantity”, you should visit the vineyard and sample and enjoy the wines. 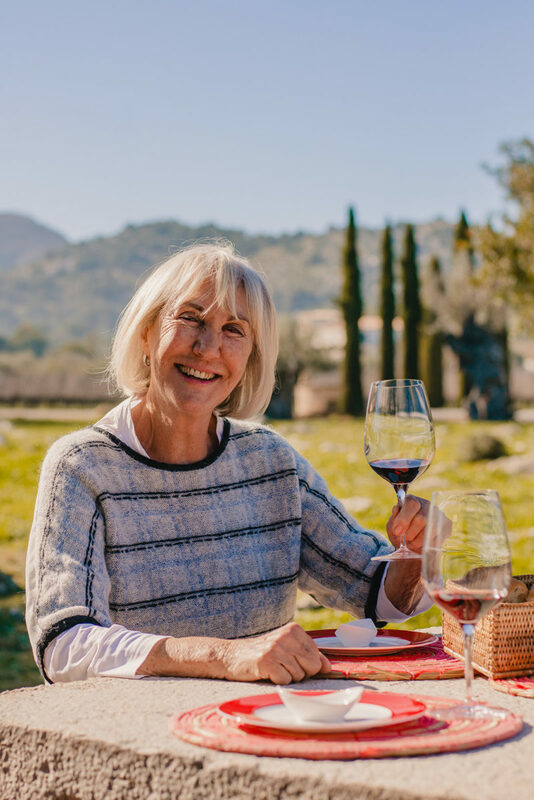 The wine tastings and events held throughout the year, which include regional tapas or exclusive catering, are famous and are organised by Christina Schallock personally.Try the Monada 2011, for example, a ripe Cabernet or the el Colmo 2013, a wonderful Syrah. Then there are the refreshing summer wines such as the Blanco, Verano and marvellous Rosado. Enjoy a true taste of Mallorca and its nature and sun with each glass of XALOC! Small amounts of the finca’s delicious olive oil are also available. Wines can be purchased from the vineyard direct or ordered online – shipping also internationally.